When it comes to going out on the water for a day of relaxing and fishing, taking along the perfect boat is what is going to make the fishing experience so much better. This means that you have to look into which type of boat is the best one for you to choose from, that is going to make you feel comfortable fishing in and one that is easy to take with you. 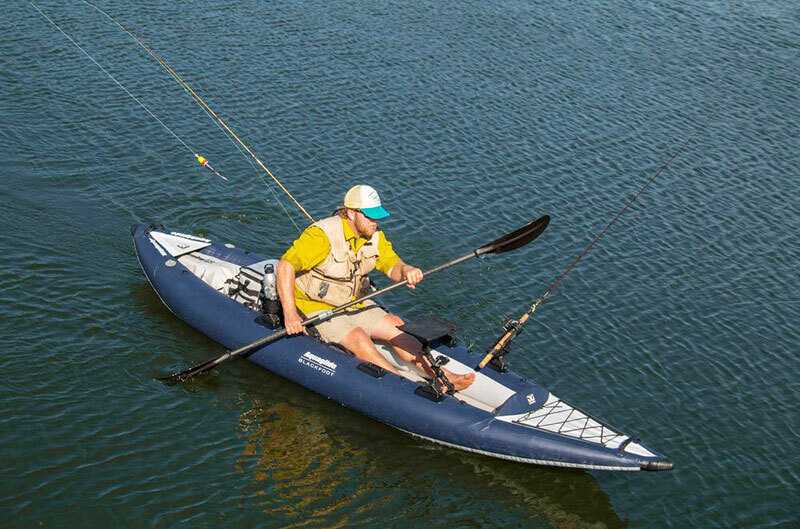 Inflatable boats are becoming a more popular item for many individuals who fish, and there are several different reasons as to why it is beneficial to use an inflatable fishing boat. They are portable, versatile, easy to set up, and they are incredibly inexpensive. When inflatable boats first made an appearance, they weren’t all of the rave that they are in today’s day in age. When they were first developed, inflatable boats were all too easy to rip apart and tear open, and any type of object that had a point to it would tear right into it. This meant that the repairs happened often and it became quite costly to own your own inflatable boat, and these boats will not last through the summer time on a pond, let alone trying to take one down a river. 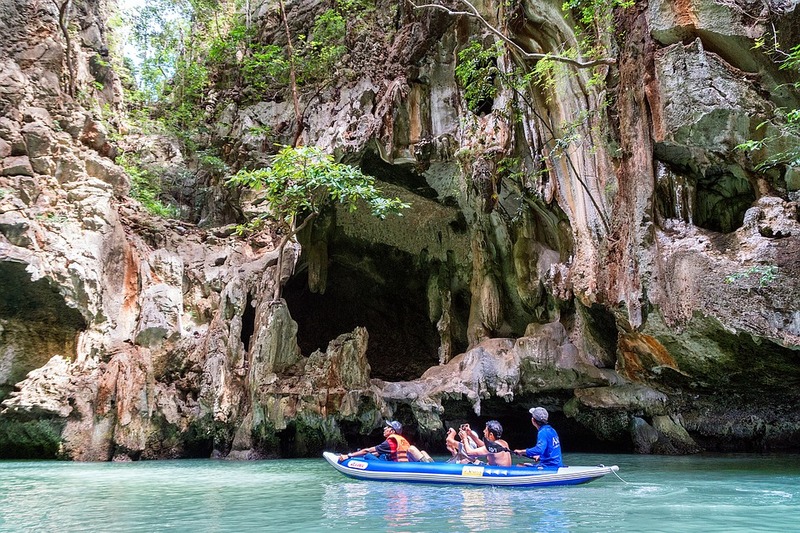 These cheaply made boats are still available in many department stores, and they are very cheap to buy, however, there are inflatable boats that are now made of the highest quality of materials. They have now progressed into a more quality of function, they are designed uniquely for each type of use for the boat, and they are capable of performing different activities. Technology has created better ways of designing these inflatable boats to be able to withstand many years of riding the waters. 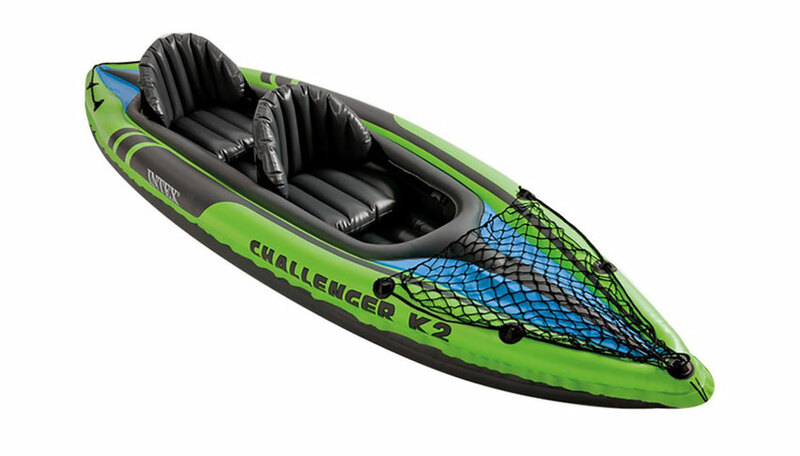 Inflatable boats are not the only thing that you can find in this type of material, but inflatable canoes and kayaks are also available for those individuals who prefer a specific type of inflatable boat device, and all of them are incredibly inexpensive to purchase as well. 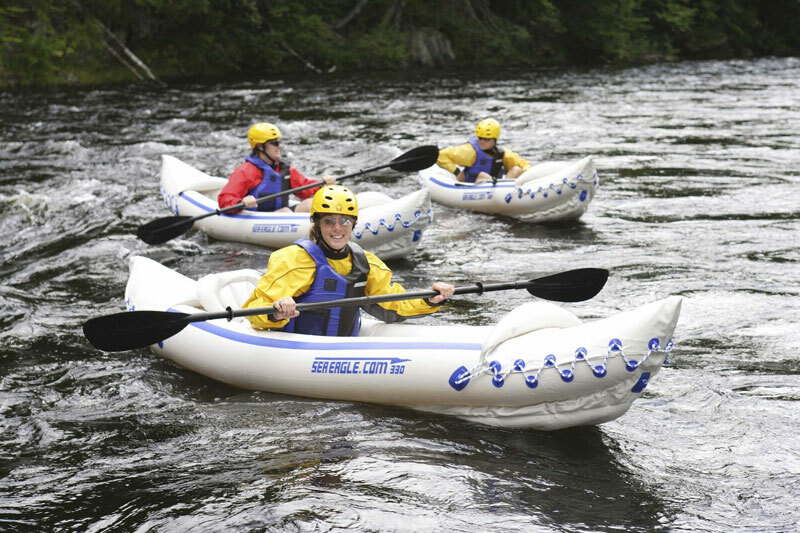 There are many different types of inflatable boats that are now available today for people to be able to choose which one best fits them and their unique style of being out on the water. 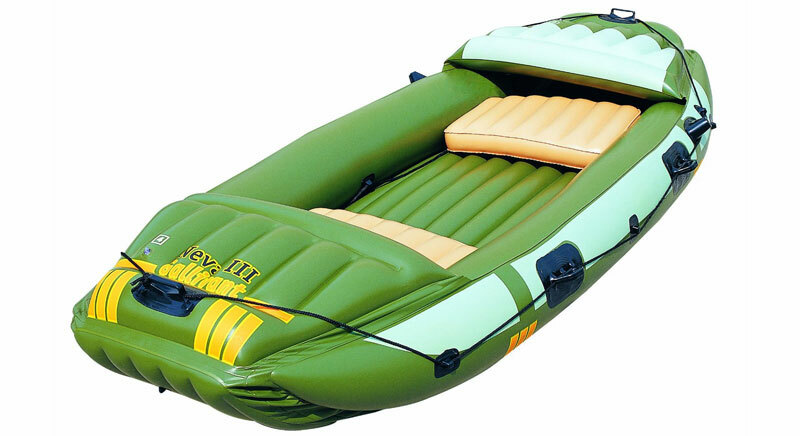 There are inflatable rafts, inflatable kayaks, inflatable boats, and many more. 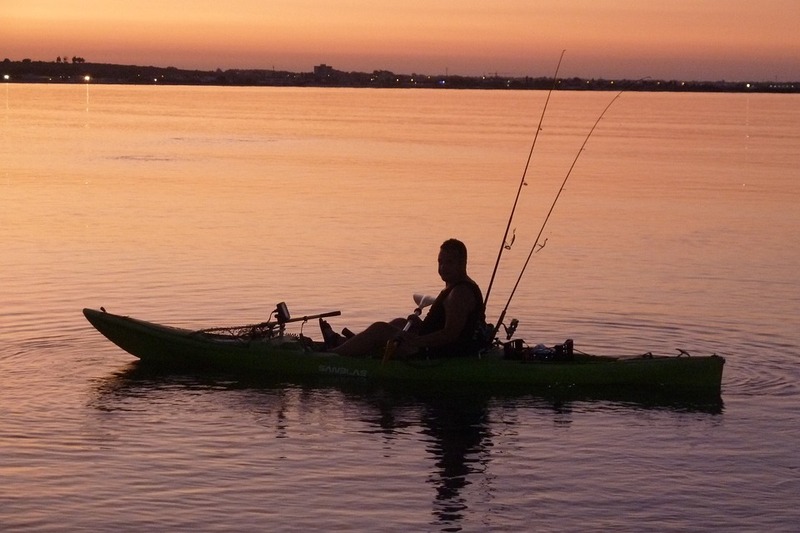 These specific types of inflatable boats are easy to use when fishing. They are easy to maneuver through the water and they give one the ability to be able to fish with comfort and ease. It really depends on the style of boat that you are looking for to take along with you on a fishing trip, and it is up to you to consider all of the things that you will want to address before making the initial decision to purchase an inflatable boat. What exactly are inflatable boats made of and which has the best materials? 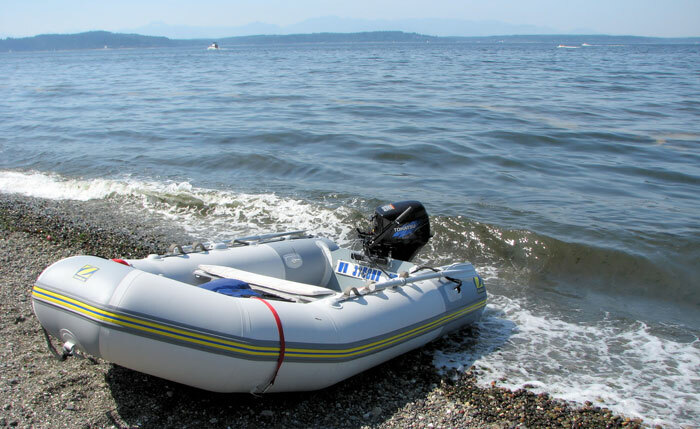 What types of inflatable boats are made available to you? You will need to be able to tell the difference from a good brand and the very poor brands. 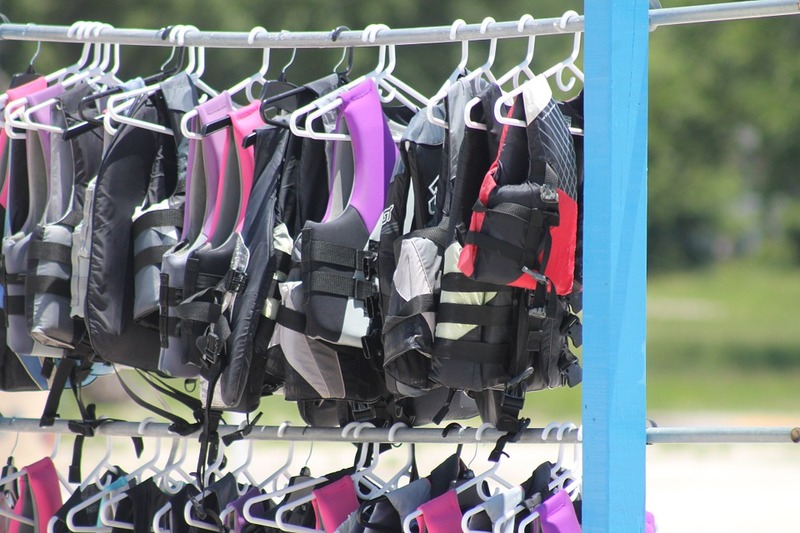 What kind of accessories do you want with your inflatable boat? How you are going to customize your boat for your fishing needs. How are you wanting to haul your inflatable boat with you? There are so many things and aspects that you will need to consider before you make your initial decision on purchasing one of these boats. 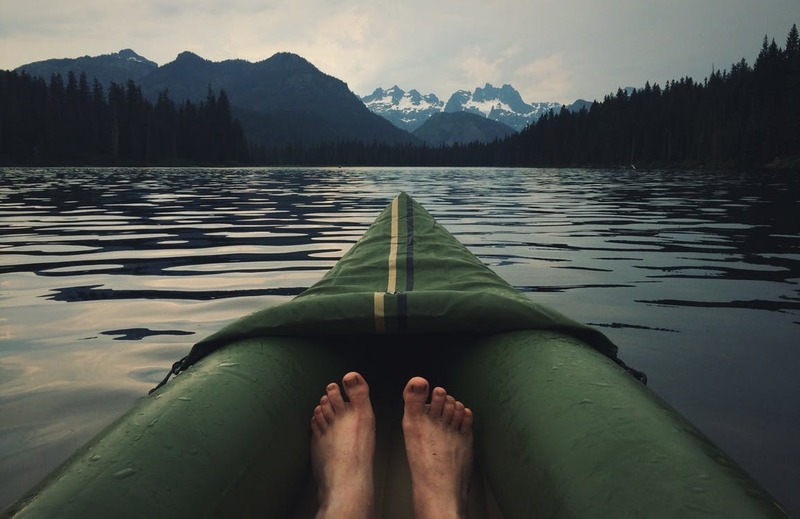 There are different types of boats with different types of accessories that you can add to them, and this means that you need to be sure that you are selecting one that is going to benefit your needs when it comes to using an inflatable boat. These are some of the basic benefits of owning an inflatable boat and there is so much more that comes with each different kind. All of these benefits combined together is what will make your fishing experiences ones that you will never forget. When you are fishing you want to make sure that you can depend on the boat you are using, that it is easy to transport back and forth, that you are going to be safe while using it, and that you will have the best time on your fishing adventure when using it as well. There are several individuals who are experienced with the use of inflatable boats and every one of them will tell you that you need to slow down and think through the process before jumping in, because not every inflatable boat is created equally. 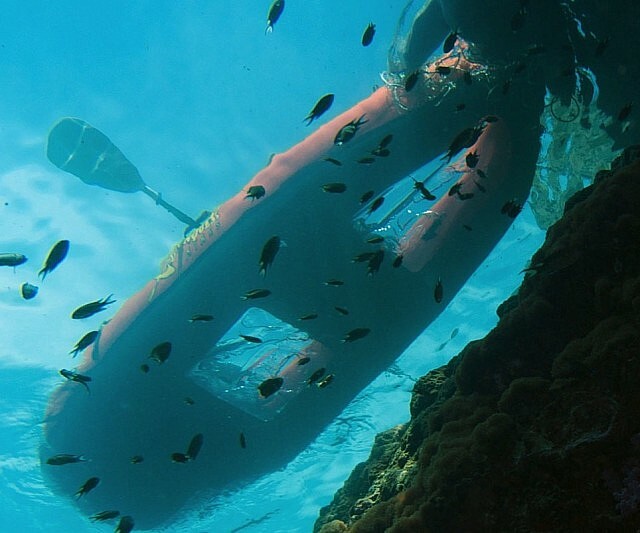 Inflatable boats can range from being incredibly durable and strong to use, and other can be very fragile and weak. It is not going to be good if you are stuck with a boat that is not going to do what you want it to do, or what you need it to do. This is why it is important search out what to look for when you are in the market for one, and what you will want to avoid. When you are purchasing a vehicle, you don’t just impulsively decide on the very first one that you see, you will be making sure that you are purchasing a vehicle that you know you will get what you are needing from it, and that will benefit you whenever you a driving it. The same rules apply when purchasing an inflatable boat, because you need to be sure of the same types of things. When you have finally decided that it is time to purchase an inflatable boat that you are wanting to use for fishing, then there are plenty of them on the market for you to be able to search out and research. These are some of the top brands of inflatable boats that are considered to be the best that a person can buy to receive the everything that they are looking for, wanting, or expecting to be able to find in an inflatable boat. The Bestway Hydro-Force Marine Pro Inflatable Boat was designed with a durable and a reinforced vinyl that gives you the ability to take this gem anywhere that you may venture off to. It comes with an air pump and a storage bag, which allows you to store it and transport it very easily and safely. It comes equipped with a motor mount and its own set of oars so you can use it to row out into the deepest parts of the lake where you will find loads of fish. 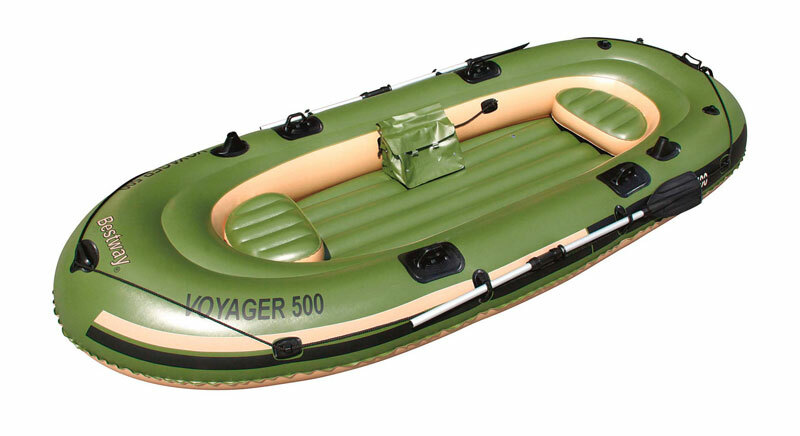 Because of these specific qualities, this inflatable boat can go from simple leisurely comfort, to a very sporty inflatable boat within minutes. When you are needing to inflate or deflate this boat, you will be able to do so quickly and successfully. 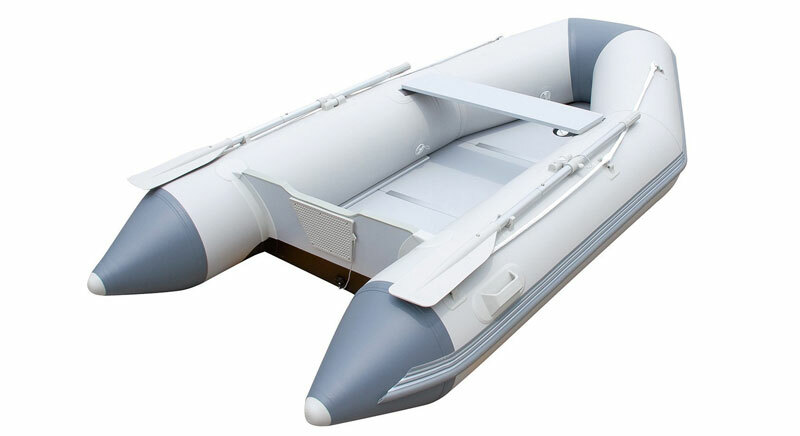 It has received the highest ratings of any other type of inflatable boat that can be found on the market, and it isn’t hard to see why it is so popular. With the several beneficial features and aspects that this boat comes equipped with, it is crazy to pass up a boat that has this much quality in it. Weight capacity is up to 594 lbs. The Bestway Hydro-Force Voyager Inflatable Boat has been designed and created with the heaviest grade of PVC, and this makes it have the ability to the harsh stresses of UV degradation, abrasion pollutants, and you are able to stick it right on the beach and the sand without any type of damage as the result. This specific boat has been designed with high durability in mind, and is able to even withstand some abrasions from rocks on the bank of rivers as well. Strength is one of the things that was kept in mind when this inflatable boat was created, and it lives up to it as well. 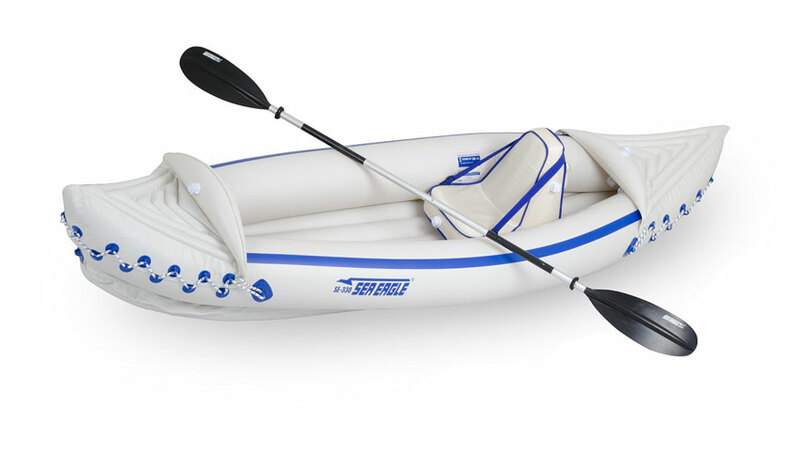 This inflatable boat is exactly like the Bestway Hydro-Force Marine Pro, it just has a different name plate and different paint and design on it. 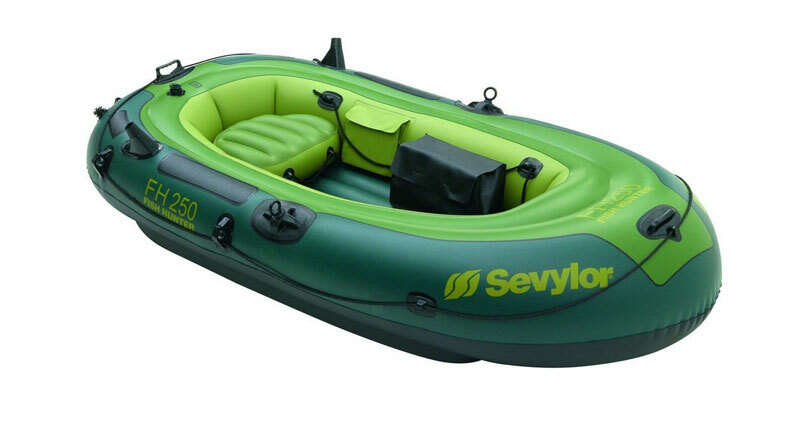 It is considered to be one of the greatest boats that can be found and purchased on the inflatable boat market, and it is able to perform in such a way that you wouldn’t even realize that it is an inflatable boat. You may spend most of your time on dry land, however, you have not experienced true beauty until you have went out fishing on the Intex Excursion 5 Inflatable Boat. 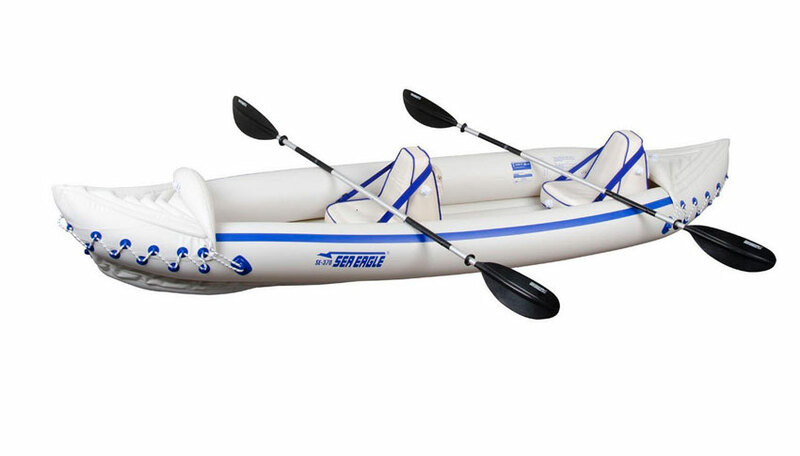 With this inflatable boat, you will be able to get out on the water on your fishing adventure, rowing and exploring the cool waters. It has been specifically designed to be able to withstand so many expeditions, and it is the perfect boat for those individuals who love to stay out on the waters and fish their hearts out. It has been uniquely designed to make it through any of the fishing excursions that you take. The seats were designed with cushioning so that you are incredibly comfortable to sit in and rest while you are fishing. You will be able to inflate and deflate it with ease, and this makes it much easier to get out on the water as soon as you can. 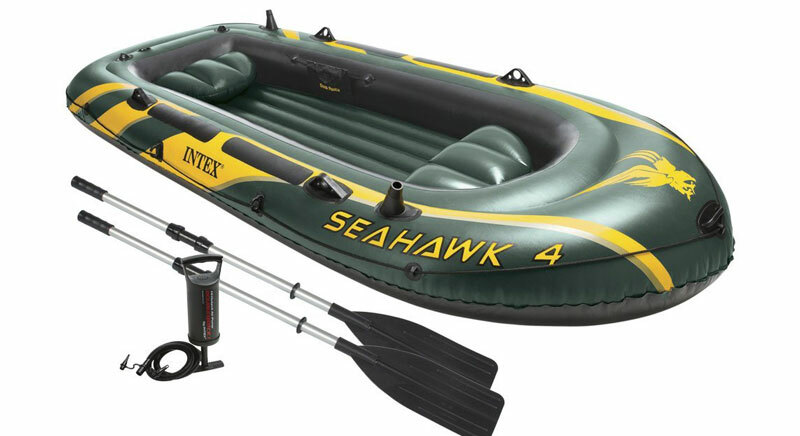 The Intex Seahawk 4 is one of the best inflatable rafts that is perfectly designed for recreational boating or fishing on lakes. There are seats on both ends of the raft. Its middle space is large enough for legs to stretch out and to place your fishing gear. The Seahawk material is so strong that this technology is not affected by water surfaces like gasoline, salt or oil, nor by the sun. Place your fish in a little cooler that can be placed within the raft. When you are finished for the day, use the grab handle and tow it and your catch ashore. A day on the Fish Hunter with three fishing buddies is relaxing and fun. The Fish Hunter raft can handle uneven loads with lots of specific features for a safe day of fishing on the river or lake. A Sevylor Fish Hunter Inflatable can be outfitted with a 2.5 horsepower motor mount or an outboard motor. The Fish Hunter’s special feature is that it guarantees not to leak due to its Airtight system and double lock valves. It is certified by the National Marine Manufacturers Association (“NMMA”). Fishing from the Neva III raft is comfortable and rewarding. When you land your catch, just pull them into your Bestway Inflatable. You don’t have to worry about getting your hook stuck on this sturdy 20.0 gauge vinyl raft. 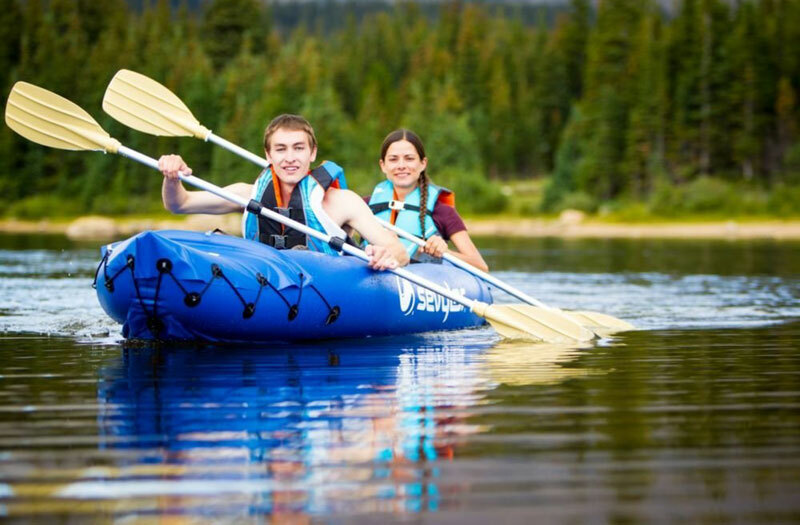 These rafts are compact and lightweight and easy to inflate. 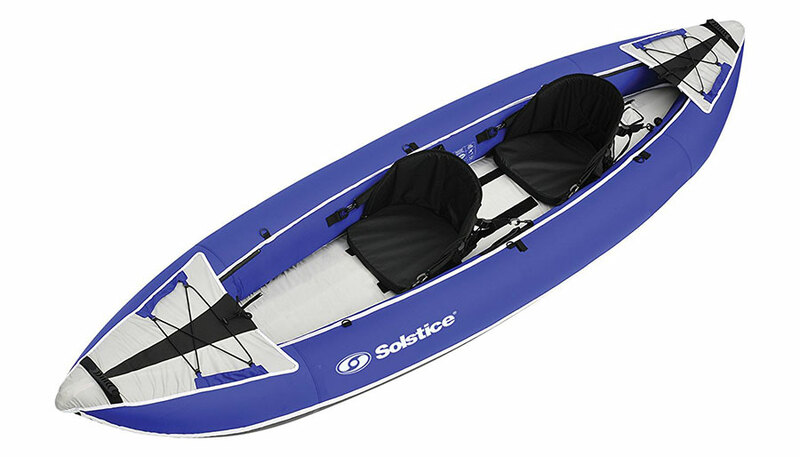 It has comfortable seat cushions, sturdy oarlocks, as well as being complete with fishing rod holders. If you wish to go fishing with your kids, or are looking for a boat perfect for children then these are with checking out. 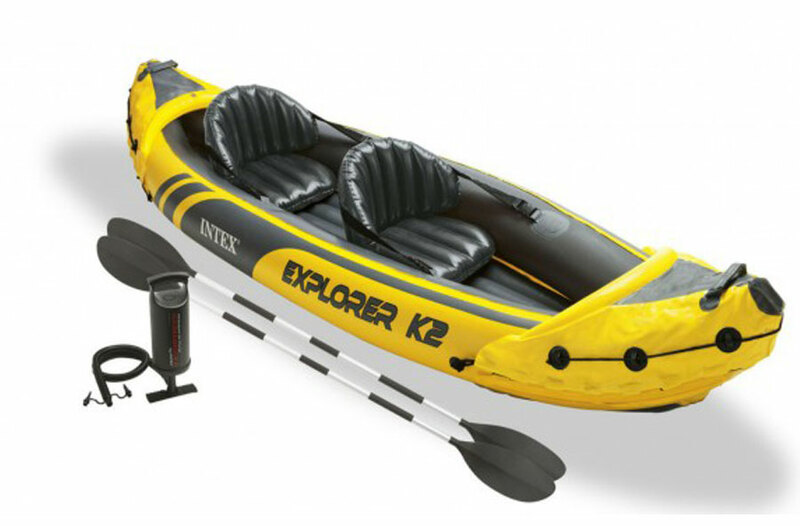 The Intex Explorer 200 Inflatable Boat was specifically designed with safety in mind. It was built and designed with safety construction and it has been designed with intense and bright graphics. The Intex company has been designing and producing the highest of quality when it comes to inflatable boats, and to create innovative products that are wonderful to use outdoors. 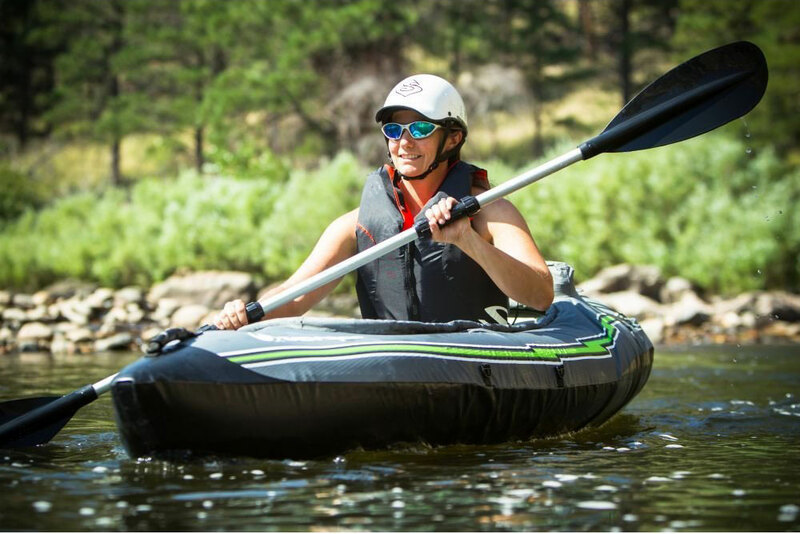 These inflatable boats undergo an incredibly intense quality control process to make sure that they are durable, safe, and designed to withstand the many conditions that you will experience when you are using it outdoors. They want to make sure that your safety is the number one important item on the list. 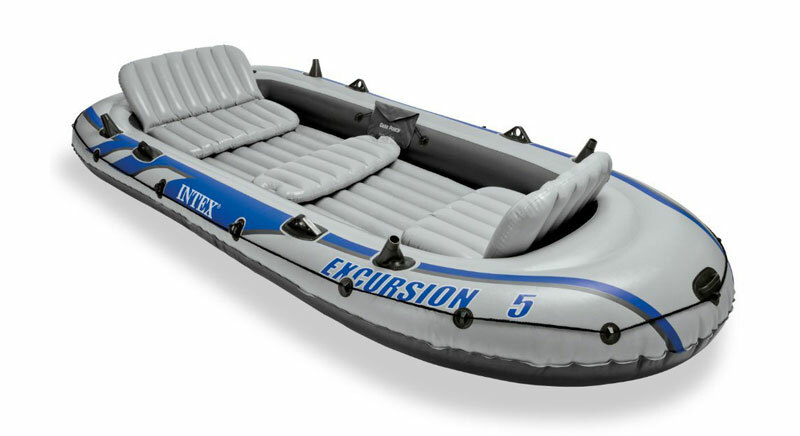 The Intex Explorer 200 Inflatable boat was made and produced with the highest quality of materials and accessories, but at the lowest and cheapest prices that they are able to so their customers will be satisfied with not having to unload an enormous amount of money. The Intex Explorer 100 Inflatable Boat is just like the Intex Explorer 200 it’s just a bit smaller. It is a small and reasonable water craft, it is incredibly safe, and it is a one person craft and there shouldn’t be anyone else trying to fit inside of it. It is easy for someone who loves to fish to take this inflatable boat out on the water, and it is small enough to maneuver around quickly. It has been designed with a bright orange color so that it is easily visible for anyone else to see out on the water, and it is designed with incredibly durable material so it is able to withstand any type of conditions that you may face out on the water. If you are dragging it across a sandy beach, or thing dirt, it will be able to hold, however, it is not a good idea to try and drag it across any rocks because it will tear. There are even some fisher men who have used this small inflatable boat, to tow many of their necessary items that they do not want to receive water damage, and the float it to a bigger boat for them to fill it up with. This boat was designed to achieve satisfaction with keeping items safe, and keep you safe inside of it as well. Technology has vastly improved modern fishing rafts. No longer do you need to worry about your raft being punctured. Modern inflatable fishing rafts are made of high quality materials that lasts a long time. In conclusion, there are many different types of inflatable boats that are available for purchasing on the market that are excellent to take on a fishing trip. Even though there isn’t “one” specific inflatable boat that is considered to be the best, there are several inflatable boats that are highly rated and highly recommended for purchasing that will be able to satisfy anyone who buys them. They have been designed to with strength, durability, and with so many other types of beneficial aspects that they are too good to pass up. With the unlimited amount of excellent inflatable boats on the market, there isn’t a fisherman out there who wouldn’t be able to find an inflatable boat that wouldn’t be able to meet their wants and needs.